As part of its new remit the museum hopes to bring its funding by Manchester City Council from 66 per cent down by half and says it will work ‘more with local communities and marginalised sections of society and evolve its exhibition space to explore football’s central role in our lives and our world’. 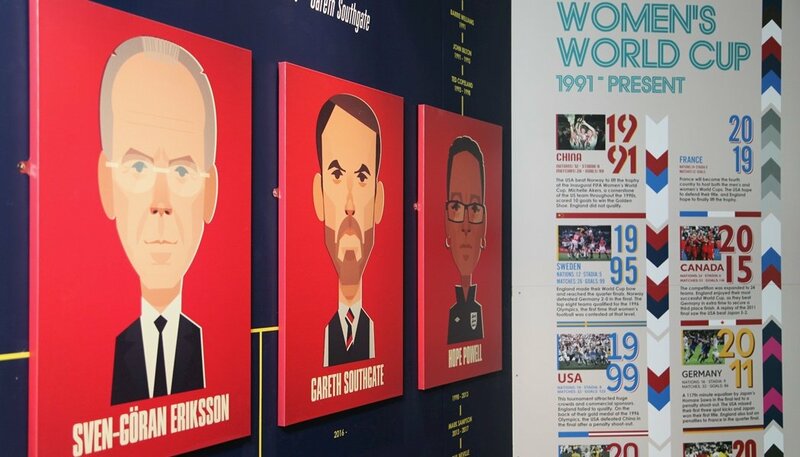 Changes to the content include the permanent exhibition, England on the World Stage, now charting the story of England women’s team alongside the men’s. The museum has welcomed 2.5m visitors since it opened in 2012 of which 40% are from overseas. Admission will remain free of charge to all city of Manchester residents and to all of the city’s schools but all other visitors and tourists to the city be charged admission fees of £10 for adults and £5 for children. These tickets will allow repeat visits over a 12 month period. Funds from charging will be invested back into the newly formed National Football Museum Community, which will focus on new opportunities for volunteers; a more regular programme of public events and special exhibitions and community projects aimed at raising attainment, improving mental health and increasing self-confidence. This will also include Adult learning courses, a Sporting Memories Group for older sports fans, and fortnightly football memories sessions for people living with dementia. The museum says that with the extra investment from partial admission charges it can acquire more iconic objects for the collection while at the same time ‘reduce its burden on the public purse [and] become self-sustaining’.